The filter systems of the type BI-Vent have been specially developed for the extraction with increased demands on the suction capacity. The BI-Vent simultaneously delivers high vacuum and high volumetric flow. The core of the exhaust system is the compact double radial blower (BI-Vent). It consists of two radial-type impellers mounted on an electric motor with two shafts. Due to the series-mounted circuit of the impellers, the vacuum produced is doubled at a virtually constant volumetric flow. Thus, pressures between 6000 and 15000 Pa can be achieved. Since the impellers and the motor are arranged vertically one above the other, the stand area of ? ?the exhaust system remains unchanged. 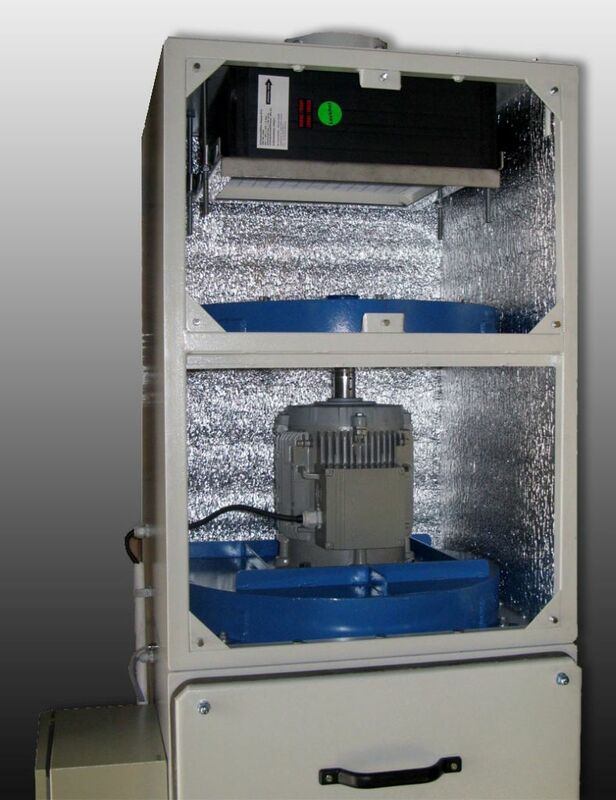 The BI-Vent is constructed as a cartridge filter with one or two filter cartridges. Depending on the required volume flow, several sizes of filter cartridges are available. The filter cartridges correspond to the category BIA M and reach pure gas values ? ?of less than 2 mg / m². When an integrated absolute filter is used, pure values up to EN 1822 H13 are possible.